Laurence and Poncho have had the privilege to be part of the faculty of Jivani Yoga since 2013. 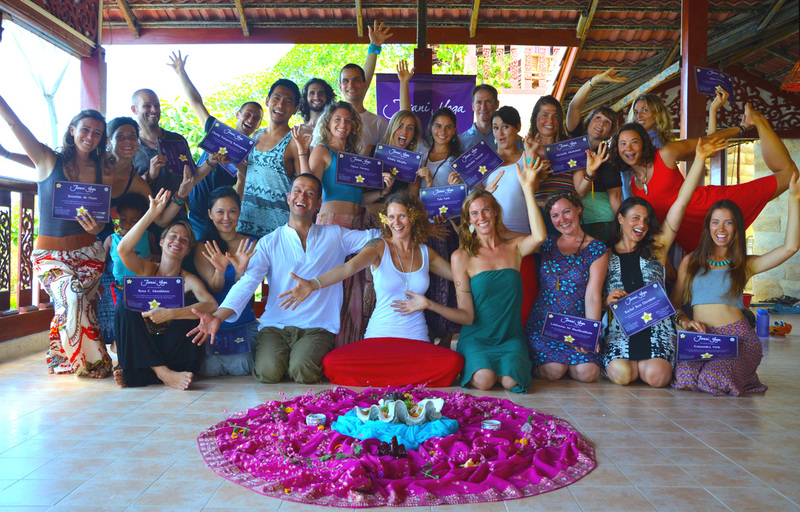 Jivani Yoga facilitates transformation Level 1 (200hr Yoga Alliance Certified) and Level 2 (300hr Yoga Alliance Certified), Yoga Teacher Trainings in Asia, Europe and Central America. Jivani Yoga was founded by Emma Warmington in 2012. Both Poncho and Laurence are extremely grateful to Emma for everything they have learned in the several years of teaching and facilitating trainings together with Jivani. Four days of intensive yoga for intermediary students, with two yoga sessions per day, and an introduction to philosophy and anatomy. This immersion will take place at OmWaters, nestled in the quiet clear waters of Sri Lanna National Park, in Northern Thailand. A perfect opportunity to deepen your practice, reconnect with yourself and enjoy stunning natural surroundings away from the busyness of the city. Join us to float and flow into the new year as we celebrate the gifts and challenges of 2014 and step into 2015 with clear intentions and the joy of a nourished body, mind and spirit! Join us on this 4-day retreat to experience the power of communicating with compassion, clarity and authenticity surrounded by nature. Practical exercises will deepen your understanding of yourself & others. From this understanding, we move beyond judgment, blame & criticism to express our needs in a way that can be received wholeheartedly. The retreat includes a morning yoga practice (1h30) and two sessions (2h each) on Compassionate Communication each day. 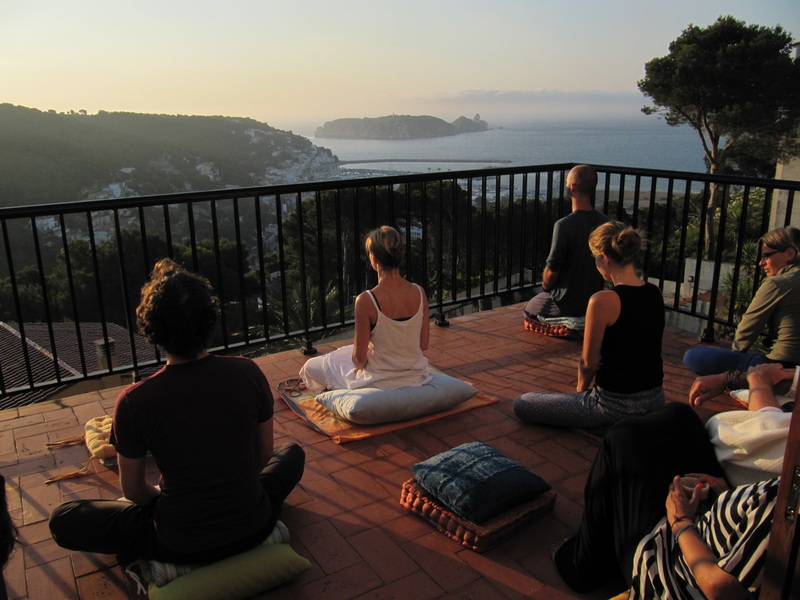 ​Join us for a relaxing and inspiring week of yoga, mindfulness and community by the Mediterranean Sea. The Geneva Yoga and Music Festival takes place every year in the month of September since 2012. The gathering brings together, international yoga teachers, meditation and dance facilitators along with world class musicians in a celebration of yoga, music, movement and life. Both Poncho and Laurence have had the honour to be invited as guest teachers to the Geneva Yoga and Music Festival in 2012 and 2013. Come join us for seven inspiring days in an idyllic environment on the island of Crete, Greece, to practice yoga, relax and celebrate life together. We will practice meditation in the morning and yoga twice aday, leaving plenty of time to relax and explore the island. Sessions include yoga, partner yoga flow, meditation, mindfulness and qigong. During our yoga practice, we will focus on alignment, bio-mechanics and moving from intention.